Dheerja is Chief Product Officer at theSkimm, a company that focuses on delivering news and information into the routines of female millennials. 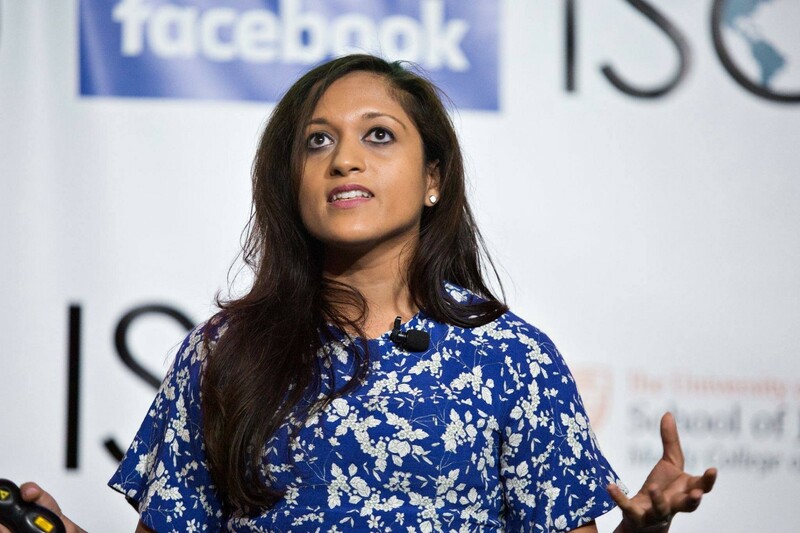 Prior to joining theSkimm, Dheerja was an engineering and product leader at ESPN, working across all of ESPN’s digital products and spearheading major initiatives like the internationalization of ESPN digital properties, Grantland, some of their flagship apps, and a relaunch of ESPN.com. Below are some of our favorite Q&As. Head over to the community for the full #AskMeAnything (you’ll have to join the group if you’re not currently a member). Q: What skills should you develop to become a great product manager? When it comes to more specific skill areas, I like to think of it as a PM toolbox: analytics, user research and UX, design thinking, innovation, creativity, engineering and technical knowledge, project management, revenue and business development, and domain knowledge (i.e. mobile, specific industries, etc). You should have a strong understanding of your “sweet spot” (what do you bring to the table that you excel at) and your areas of growth. Figure out how to apply your sweet spot in different roles and industries, and then continue to expand your expertise in the areas you’re weaker in. That will look very different for each PM, so it’s important to be self aware about how you can round out your knowledge. Q: What advice to you have to more junior product managers, especially around career growth and choosing the right size/fit of company? D: First, optimize for growth in your role. For PMs especially this means endless curiosity. There are so many areas of the business and product to learn, and as a PM you have a truly unique opportunity being at the center of it. Be thoughtful and structured about the areas you want to learn and think about the projects you ask for and relationships you build as optimizing for that. For example: when I first became a PM at ESPN I felt like I had a big gap with design. I then became friends with the VP of Design and he found teaching opportunities in everything we worked on together — I learned so much about visual and brand design, and how to apply them to product. It was a huge help for me when I moved to theSkimm and had to build the design team from the ground up. Second, be intentional about your career moves. There’s no silver bullet that guarantees success — big company, startup, tech, other industries, etc. I think diversified experience is important so you always have new learnings and are broadening your knowledge. I also have a mantra: everything I do should have a 30% chance of failure. That includes career jumps. It means I’m optimizing for learning and challenging myself, and I never let myself get to a point in my role where I know how to do everything. Q: What general advice or tips can you give to women of color that are in the tech industry? A: Ultimately, it’s so important that we create workplaces that enable and empower under-represented minorities to succeed. I struggled a lot early in my career, and was hit hard with imposter syndrome. One thing that helped me immensely was finding both sponsors and mentors within the company. A sponsor especially can be a huge asset for your career — your name is always in the back of their mind and they are advocating for you across the organization. On a more day to day basis, don’t shy away from asserting yourself in a meeting, chiming in and making sure people know that something was your idea, or generally advocating for yourself in interactions — it can chip away. When I first started at ESPN, I had this feeling that people didn’t think I was a sports fan or had any credibility in sports, and I made it a point to over-assert that in every meeting I had until it started to shift. This is also something to address head on with your manager if you feel comfortable doing so. Ultimately, if you find that your value isn’t recognized and you’re consistently being undermined, then it’s time to move on to a place where that isn’t the case and you can be your best self. Thanks to Dheerja for her time and wisdom! If you have an inspiring woman or non-binary person to nominate for an #AskMeAnything in Tech Ladies, shoot me an email: hannah[at]hiretechladies.com. Want to post a job to Tech Ladies? Fill out this form and we’ll send you more info. Content @Wealthfront. Community @HireTechLadies. Formerly @AminoHealth @Fastly @IndieShuffle. Cat & wine enthusiast. Murakami when the mood strikes.